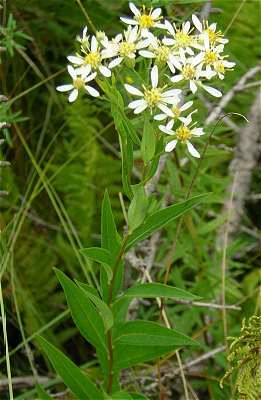 Aster umbellatus. Merel R. Black.Robert W. Freckmann Herbarium.University of Wisconsin at Stevens Point.wisplants.uwsp.edu (Accessed 11/2014). Doellingeria umbellata perennial, 1-2 m tall, colonial from creeping rhizome. Leaves alternate, no basal leaves; stem leaves narrowly elliptic, toothless, 4-16 cm long, 0.7-3.5 cm wide, stalkless (sessile), tapering at both ends. Doellingeria umbellata flowers close-up. 2002 © Peter M. Dziuk. Minnesota Wildflowers. 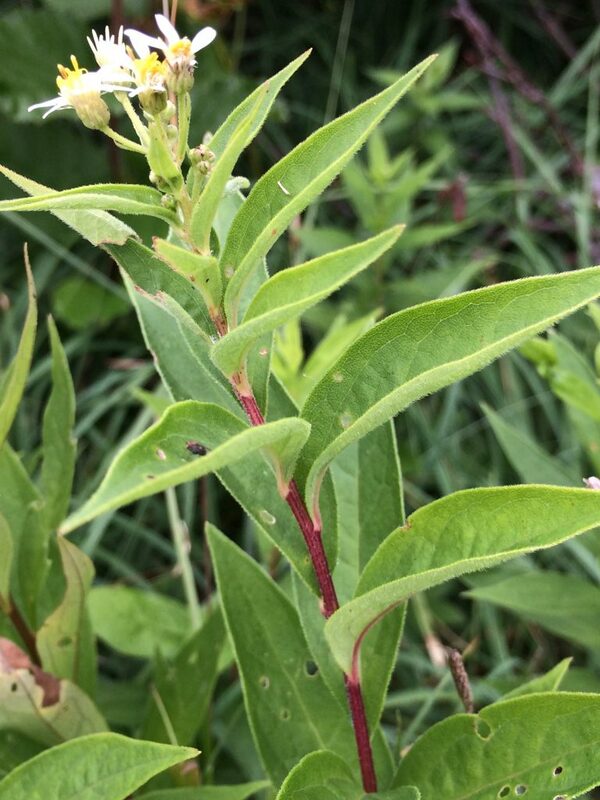 minnesotawildflowers.info (Accessed 4/2018). 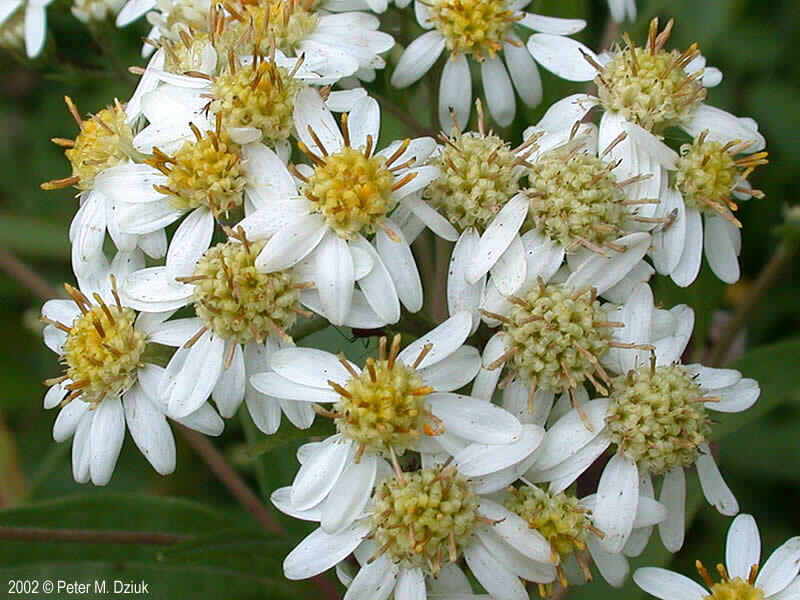 Flowers: rays white, 7-14, 0.5-0.8 cm long, disk flowers 23-54, yellowish, bracteate base about 0.4 cm long, bracts slender, greenish, overlapping; heads numerous in dense, more-or-less flat-topped, branched cluster; blooming July-Sept.
Fruit dry, 1-seeded, achene about 0.1 cm, with a grayish tuft of hairs (pappus). Habitat: Moist thickets, edges, meadows. Notes: Host to larvae of the pearly crescent butterfly, Phycoides tharos (Nymphalidae), (Tallamy 2003; Pyle 1981).